Timothy Leary’s famous message on LSD, “Turn On, Tune In, Drop Out,” became so viral during the 1960s, thanks in large part to media theorist Marshall McLuhan. In his great new book, The Attention Merchants, Tim Wu tells the story about how Timothy Leary’s famous message on LSD, “Turn On, Tune In, Drop Out” became so viral during the 1960s, thanks in large part to media theorist Marshall McLuhan . It provides a glimpse into how a message, even a countercultural one about LSD, might be refined by the branding techniques normally reserved for selling sugared water. The two academics met at New York’s Plaza Hotel (think Eloise) in 1966. Leary was a 49-year-old recently-fired Harvard psychology instructor who had been had been working with another professor on using LSD to a tool to block out the manipulation of mass media on our culture. 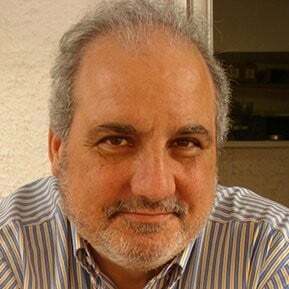 He and his colleague, Richard Alpert (also fired from Harvard, and who would later become the spiritual guru Ram Dass) experimented with drugs like LSD to free people from the tools of mass manipulation from the mainstream media and the government. Marshall McLuhan was a Canadian scholar whose book Understanding Media was getting a lot of attention itself, where he famously said that “the medium is the message”. His point has been often misconstrued, and that confusion was even parodied in Woody Allen’s 1977 film Annie Hall, where Allen brings over McLuhan to admonish an academic blowhard behind him in a movie line, saying “You know nothing of my work!”. But he believed that the nature of a media form has a profound influence on how that message is understood. Different forms of media had subtle, but distinct attributes, or affordances that combine with our cultural understandings to affect what is actually being communicated. McLuhan believed that the printed word encouraged more emphasis on visual sensory input, where communication from earlier oral cultures placed more weight on our sense of hearing, and therefore fundamentally changed the nature of the communication. In spite of, or maybe even because of his dismissal from Harvard, Leary’s star had been rising and he sought McLuhan’s advice on how he might “reach all the disaffected”. McLuhan suggested he had his framing all wrong. Rather than considering himself a reformer or philosopher, he should take on the role of a Mad Men era advertiser, he needed a catchy hook to lure them in with. McLuhan wrote a little jingle for him right there, based on a classic Pepsi ad of the day: “Lysergic acid hits the spot / 40 billion neurons, that’s a lot”. Leary toyed around with adapting patriotic slogans such as “Give me liberty or give me death” and “The only thing we have to fear is fear itself”. He even tried adapting a Lucky Strike jingle with no success. Later that day, while taking a shower, as is often the case with good ideas, Leary’s branding was born and became the inspiration for the slogan for his countercultural message as “Turn On, Tune in, Drop out”. Like all good propagandists before and after, Leary repeated the mantra many times during a speech he gave on on January 14, 1967, at San Francisco’s Golden Gate Park. The event was a countercultural mixture of biker gangs, students, and hippies billed as “A Gathering of the Tribes for a Human Be-in” and Leary’s message and went viral from there. Like McLuhan, Leary’s message was ultimately misconstrued by the public. Instead of a call to resist the various messages from business and authority, a kind of attentional revolt, as Wu termed it, Leary’s message was sometimes received as an invitation to “Get stoned and abandon all constructive activity”. In spite of this, the branding helped spread his message to a very wide audience. 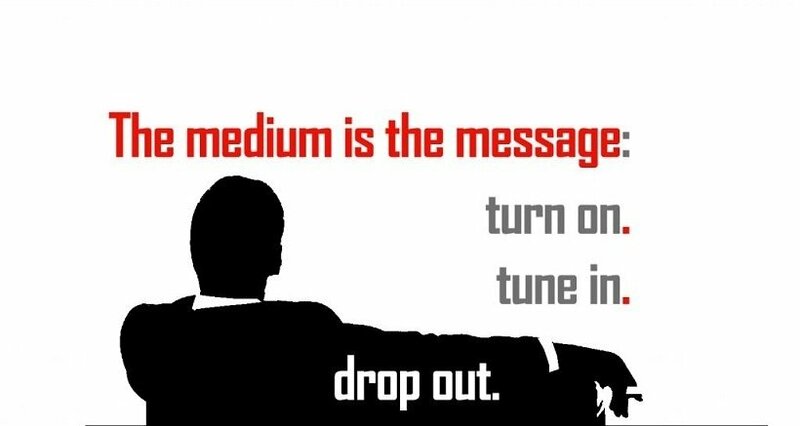 Maybe the medium is the message, after all? Wu, T. (2016). The Attention Merchants: The Epic Scramble to Get Inside Our Heads. New York: Knopf, pp. 152-154.